Eskom has been accused of delaying the signing of contracts with independent power producers. 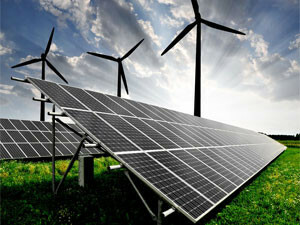 The South African Renewable Energy Council (SAREC) is of the opinion that Eskom's delay in issuing final budget quotes to preferred bidders in Round 4 and Round 4 extension of the Renewable Energy Independent Power Producer Procurement Programme (REIPPPP) is definitely not economically motivated. This follows the publication of the Public Protector's State Capture report, which was released last week. Among the findings in the report, Eskom was fingered in some shady deals with the controversial Gupta family. The report alleges Eskom helped Gupta-owned company Tegeta take over Optimum Mine by agreeing to a R600 million pre-payment for coal. There are uncertainties regarding the future of local independent power producers (IPPs) in the country. This is after power utility Eskom wrote a letter to the Department of Energy asking for clarity or a dialogue regarding the next contracting phase of IPPs beyond bid window 4.5. Eskom has also been accused of delaying the signing of contracts with IPPs, thereby directly affecting the viability of projects in an advanced stage of development. SAREC acts as an umbrella body to the various renewable energy technologies, such as the wind, solar photovoltaic and hydro energy. The organisation says there are 26 preferred bidders across a range of technologies, none of which have reached financial close due to Eskom's refusal to sign further power purchase agreements (PPAs). "These projects represent a combined value of R50 billion in investment into the country that has been put on hold, which is ludicrous when considering our current economic climate," says Brenda Martin, chair of SAREC and CEO of the South African Wind Energy Association. "The people of our country need jobs and our industry can provide them, considering that the unsigned projects represent over 13 000 jobs," she adds. According to SAREC, the total number of jobs expected during the construction period of these projects is 13 444; where a job is defined as equal to 12 person-months, and one person-month is equal to 160 working hours. Added to this is the overall number of jobs for South African citizens during the operations period, which is expected to be 1 909 per year, for a 20-year period, it adds. "It is clear from these figures that these projects represent a very significant investment in the South African economy and are vital stimuli for job creation, local content, and local economic development," Martin notes. * Since the inception of REIPPPP in 2011, the renewables industry has attracted more than $14 billion in direct foreign investment, created more than 20 000 jobs in construction, and 35 000 operational jobs. * REIPPPP has also brought about a dramatic drop in renewable energy tariffs, so much so that new-build renewable energy is now significantly cheaper than new-build coal or nuclear power. * Solar photovoltaic energy: the tariff has fallen from R3.65/kwh in Round 1 to R0.62/kwh in Round 4. * Wind energy: the cost has fallen from R1.15/kwh in Round 1 to R0.62/kwh in Round 4. * This price is significantly lower than the tariff prices for coal from IPPs (R1.03/kwh), Eskom coal (R1.05/kwh to R1.16/kwh), and nuclear power, which is estimated at between R1.17kwh to R1.30/kwh. * REIPPPP enables SA to transition away from a coal and carbon-intensive power sector to a clean and sustainable future. SAREC believes this deliberate refusal to comply with the ministerial determination on renewable energy challenges the prioritisation of green energy as outlined in the National Development Plan. It also has a negative impact on achieving government's green industrialisation objectives and undermines the renewable industry's efforts in bringing much-needed foreign investment into the country, says the organisation. Furthermore, it notes, the delay is also hindering local manufacturing opportunities, social development programmes and the benefits of community ownership, all of which are common features of all REIPPPP projects. "Over the past several months, Eskom has repeatedly avoided signing PPAs with renewable energy IPPs, and has failed to provide valid reasons for doing so," says Martin. "At the same time, Eskom's head of generation [Matshela Koko] has engaged in a sustained attack on the renewables industry, in an attempt to undermine renewable energy and protect their own narrow interests." The industry has expressed confidence in the Presidency's office, citing a Cabinet statement issued on 22 August 2016, by the minister in the Presidency, Jeff Radebe, who said: "There is no way that government will change course [on the IPP programme]." "We therefore urge minister of energy, Tina Joemat-Pettersson, and minister of public enterprises, Lynne Brown, to take coordinated action and ensure that policy and procedure are adhered to without further delay," Martin concludes.